The house: A stained glass window in the hall of the Jacobean Godinton House shows the date 1165, which is believed to be the date that it was first built. The house has since seen renovations (1448 and the early 1600s), transforming it into the red brick manor that attracts tourists to this day. The medieval hall still stands as a testament to the history of Godinton and there are lots of other period features that await visitors including 17th century carved panelling in the Great Chamber, an intricately carved staircase and historical furniture. 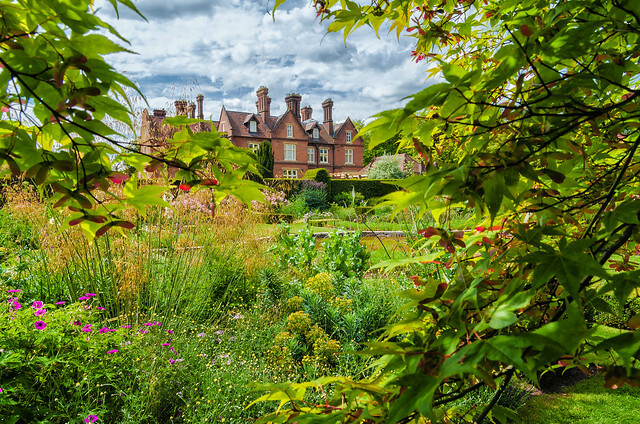 The gardens: Designed in 1895 by architect, author and garden designer Sir Reginald Blomfield, outdoor features at Godinton include a rose garden, a walled garden with green houses, and an Italian garden complete with striking statues. 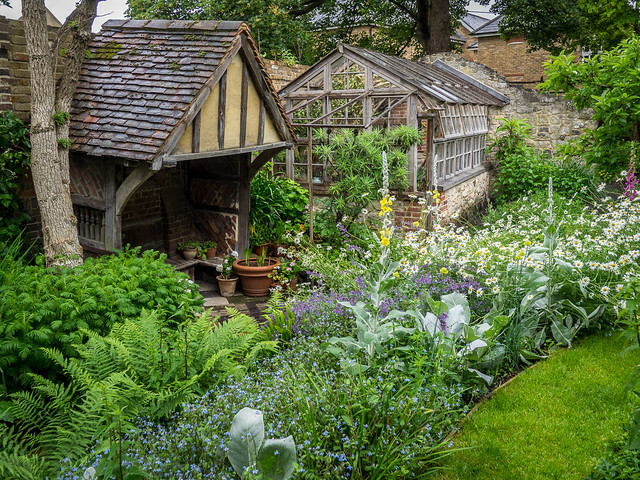 Visiting: House and garden tickets £10, just garden £5. Visit the website for events which include gardening workshops, open air theatre, and lots more. There is a tearoom for house and garden visitors only. The house and tearoom will be open from 5th April to 6th October. Opening times vary throughout the year – check the website before visiting. 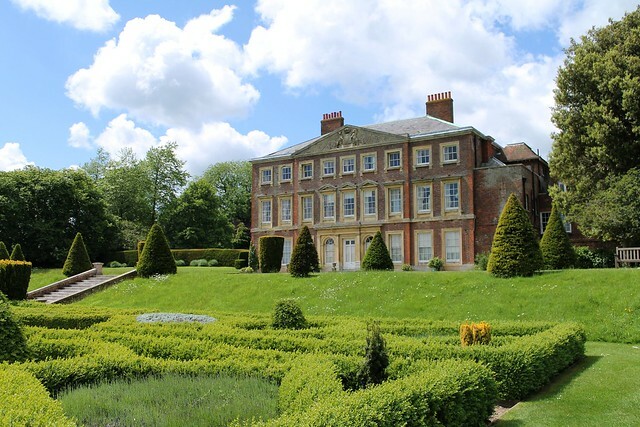 The house: The rich history of Goodnestone Park is a fascinating one with regular visitors including Jane Austen whose brother was married to the great granddaughter of Brook Bridges, 1st Baronet, who ordered the Palladian house be built in 1704. The Grade II* listed property, originally built with two storeys, and then augmented with a third in 1790, is private and available for rent. The garden: The tranquil gardens make for a peaceful walk with acres to explore and different types of garden such as the rose garden, a magnificent walled garden and a forest garden. 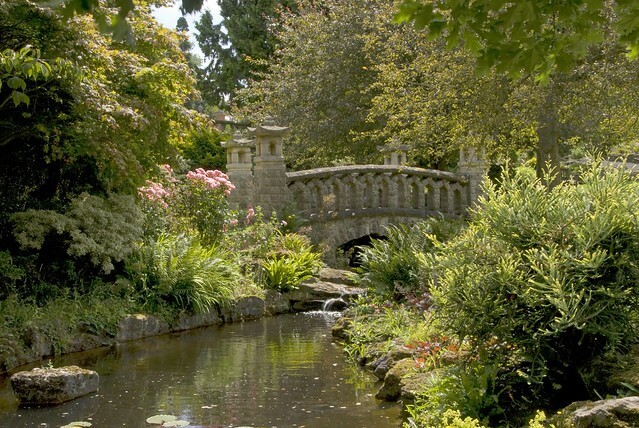 Wander from the rolling parkland to the arboretum, through to the woodland garden and pond. Afterwards, explore the manicured walled garden and nursery. Visiting: Entry to the garden is £7 for adults. The 2019 open season is 2nd April to 27th September (closed Saturdays and Mondays). Check the website for dates and times. There is a tea room open on garden open days. The house: Visitors can book a room at this country house which is nestled in the idyllic Kentish countryside in the village of Hernhill. Originally built in 1695, the house today has five guest bedrooms to stay in quintessential British luxury. The garden: Gardens include a Japanese rock garden, an arboretum, the Millenium Rose Garden and more that span ten acres in total. There is a fabulous topiary walk that draws the eye towards the rolling countryside beyond. Visiting: After exploring the gardens, head to The West Wing Kitchen, the pretty tearoom, for tea and cake or an all out afternoon tea – or bring your picnics which are welcomed in the gardens. The gardens are open from April 2019 from Wednesdays to Sundays (and bank holidays). Admission is £7 for adults. Gates 11am, last admission 4pm, gardens close 5pm. 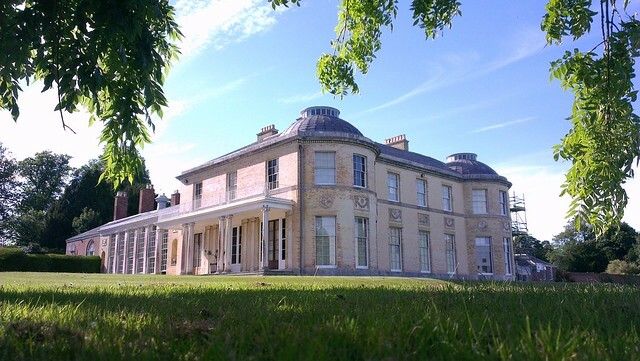 The house: The grand Quex Park is also home to the Powell-Cotton Museum which started life in 1896 to house Percy Horace Gorden Powell-Cotton’s objects found on his travels to Tibet and India. It is now eight galleries of fascinating natural history and objects which can be visited by the public. The house itself is a spectacle to behold. The gardens: A mixture of indoor greenhouses, well kept walled gardens and woodland, Quex’s Gardens have been lovingly curated since the house’s erection in the 15th century. Much was added during the 19th century so the centuries of history are reflected in the various areas. 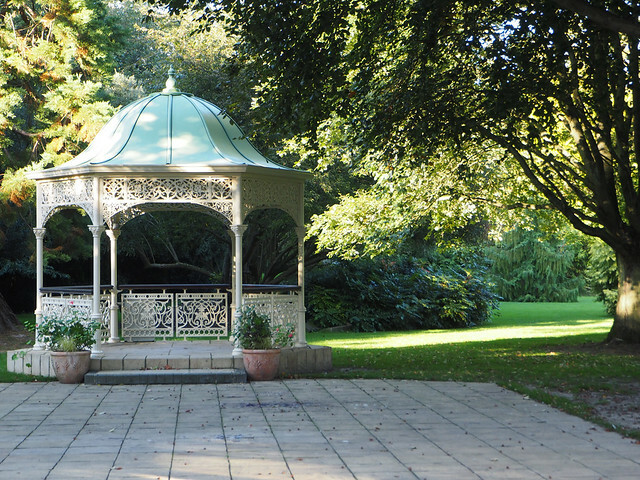 There’s a walled kitchen garden, a sunken fountain garden, a Victorian pleasure garden and more. Visiting: Open Tuesdays through Sundays. The museum and gardens are open January to December 2019 from 10am to 5pm. The house is open from April to October 2019 from 1pm to 4pm. For museum, house and garden, adults £8.95, concessions £6.50 for just gardens, adults £4.95, concessions £3.50. The house: Built in 1714, the Grade II listed Riverhill House was bought by John Rogers and has remained a private family home for the Rogers family ever since. The gardens: Riverhill Himalayan Gardens of all varieties including The Orchard Sweep, home to some of Riverhill’s ancient trees and The Walled Garden, with Himalayan-themed terraces and a large pond and fountain. Visiting: The gardens, cafe and shop are open from 22nd March to 27th October 2019 from Wednesday to Sunday, 10.30am to 5pm (with some exceptions, check website). Adults £9, children £6.50. The house: Designed by Samuel Wyatt, one of the most exciting architects of the late 18th century, Belmont House is a wonderfully preserved building with fabulous interiors. Originally built in 1769, this grand, neo-classical style house also has an extensive collection of historical clocks, collected by the 5th Lord Harris. Budding horologists can have a Specialist Clock Tour which is run on the last Saturday of the month (from April to September). 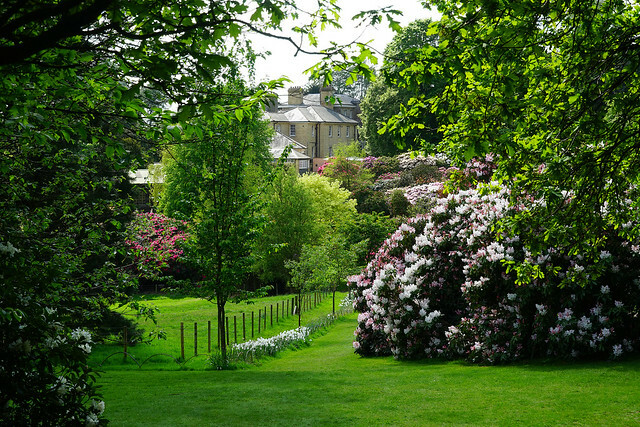 The garden: The gardens that surround Belmont House consist of formal lawns, a walled garden and more with plenty of flora and fauna to absorb on your gentle walk. Visiting: House viewable by guided tour only. Open from 21st April to 29th September 2019 on Wednesday, Saturday and Sunday. The gardens are open daily throughout the year from 10am until dusk. Garden tickets are £5 for adults and £2.50 for children. The house: With Doddington House looming in the background, a visit to Doddington Place Gardens truly feels like you have stepped back in time. 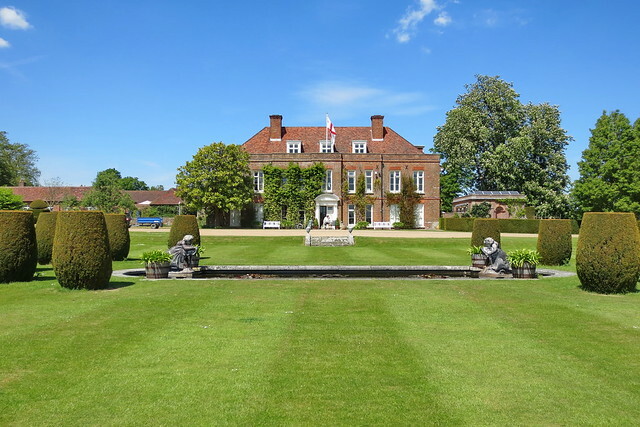 The garden: Doddington Place Gardens is located in an Area of Outstanding Beauty in the North Downs and spans 10 acres. The spring garden has pretty varieties of tulips, malus, magnolia and betula, the rare acid soil of the woodland garden which is planted with acid-friendly trees and shrubs. Visiting: The gardens are open from 20th April to 29th September on Wednesdays and Sundays from 11am to 5pm. Adults £8, concessions £7, children £2.50. The house: The private house makes for a pretty backdrop while wandering through the gardens. Although it would fit right in with the former early 18th century house, the current day family home was actually rebuilt after it was used as barracks during WWII – and subsequently demolished. The gardens: The gardens of the Hole Park estate are stunning year round with dramatically changing flora that shows the best of the seasons in a breathtaking setting. The public can explore 16 acres of formal lawns, walled gardens, meadows, a woodland garden and more. Visiting: Check the website for full opening times, prices and special events which include a midsummer fair. The house: Restoration House has a wonderful history and the architecture and interiors showcase a spectacular renovation by the current owners. What was previously two separate buildings, they were brought together in the late 16th, early 17th century. Unusually, this estate with large garden is in the centre of the town of Rochester. 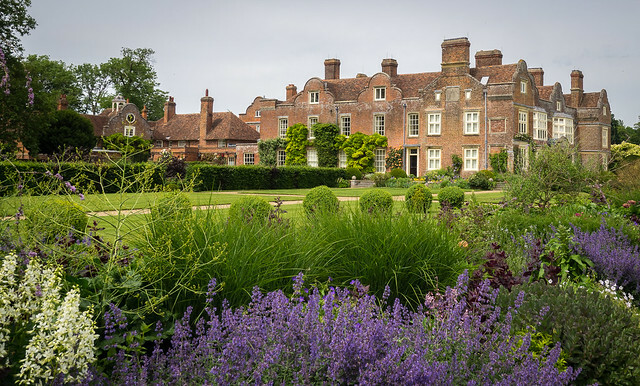 The garden: There is a large walled garden of three quarters of an acre, a small maze, a half sunken greenhouse and plenty of perfectly kept herbaceous borders and beds. This is truly an oasis to avoid the noise of the town for an afternoon. Visiting: Open from 30th May to 27th September 2019, Thursdays and Fridays from 10am to 5pm. 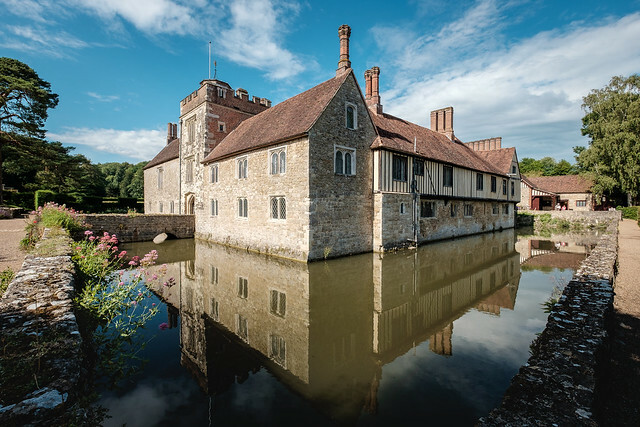 The house: Surrounded by a moat that looks like something from a fairytale, Ightham Mote was originally built in the 14th century and is now a popular National Trust spot to visit for those wanting an escapist afternoon in a historical location. 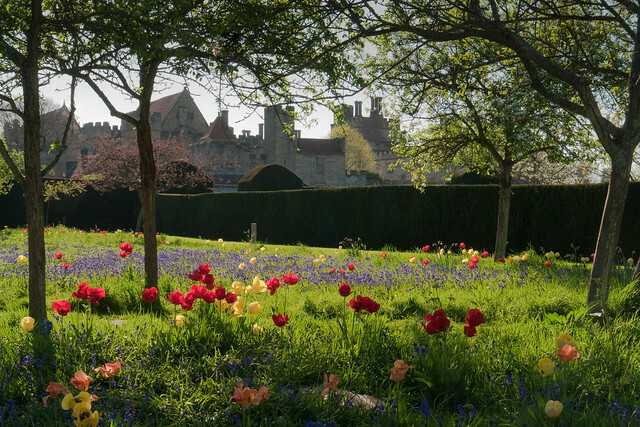 The garden: There are 14 acres of gardens to explore that include an orchard, a secretive walled garden featuring a cherub water feature, pleasure grounds with a stream and lake, a formal garden, a cutting garden that provides produce for the Mote Café and more. Visiting: Check the National Trust website for opening times, prices and more visitor information. There is a café to enjoy some cake and coffee afterwards too! The house: The house at Penshurst dates back to 1341 and ten historical rooms are open for the public to explore when they visit. These include the grand West Solar which is home to a famous portrait of Queen Elizabeth, The Queen Elizabeth Room with resplendent examples of period furniture that the Queen enjoys. The garden: Spanning nearly 50 acres in total, the gardens at Penshurst include the 16th-century Italian Garden, the Heraldic Garden, the large Orchard, the Rose Garden, borders of peonies, and a nut garden, used to grow Kentish cobs that were a ubiquitous export from the county during the reign of King Henry VIII. Visiting: Check the website for separate garden and house opening times. Tickets to the house, gardens and grounds are £12 for adults and £6.50 for children. 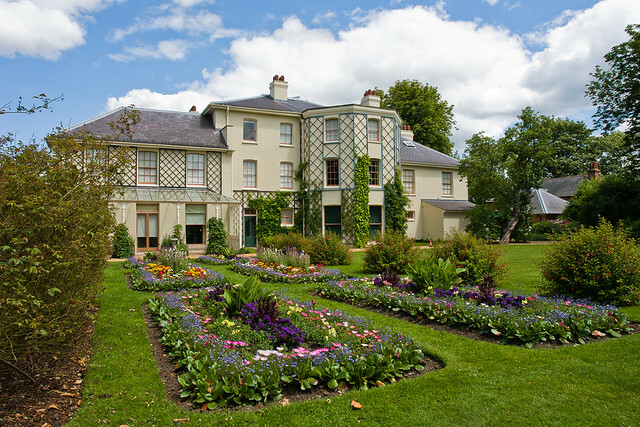 The house: Once the home of revolutionary naturalist, Charles Darwin, Down House in Orpington is a striking white-washed Georgian country house that pays homage to Darwin. His study is still in place with notebooks and stationery. The garden: Explore Darwin’s greenhouses in which many scientific studies were made. There are a collection of orchids, venus fly traps, the Great House Meadow, an old mulberry tree and more. Visiting: Entry costs £12 for adults and £7.20 for children. Check website for opening times.